This spring we headed to San Miguel and made some fabulous foodie discoveries, including Bovine, a contemporary meat-focused brasserie-style gourmet restaurant led by Australian Chef Paul Bentley. San Miguel de Allende, the dreamy colonial-era city in the Mexican central highlands, has captivated visitors for more than a century. Writers, artists and romantic wanderers have come seeking inspiration or escapism. However, these days it?s not just the art and the architecture that draws the visitors, but the food too ? San Miguel is without doubt one of Mexico?s centres of culinary and restaurant innovation, writes Andrew Forbes. Found within the über stylish Código Postal building ? a chic, renovated historic house now a collective for design, fashion & jewellery creators – one finds this elegant brasserie. 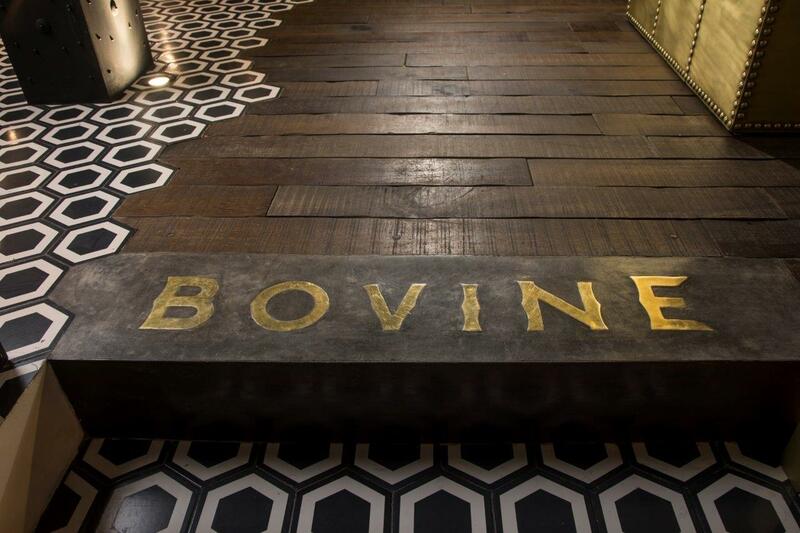 Bovine is a sophisticated take on a classic steak house. Bruce James and Juan Pablo Gallegos (the innovators behind award-winning Hotel Matilda and Moxi Restaurant) have created a restaurant that is at once contemporary but also classic, with echoes of art deco. There’s an outside terrace; elegant indoor dining, and the full-length bar creates the setting for fun after-work cocktails and pre-dinner drinks.